Kick your Monday off with a restaurant quality meal of pan-fried fish on creamy risotto. 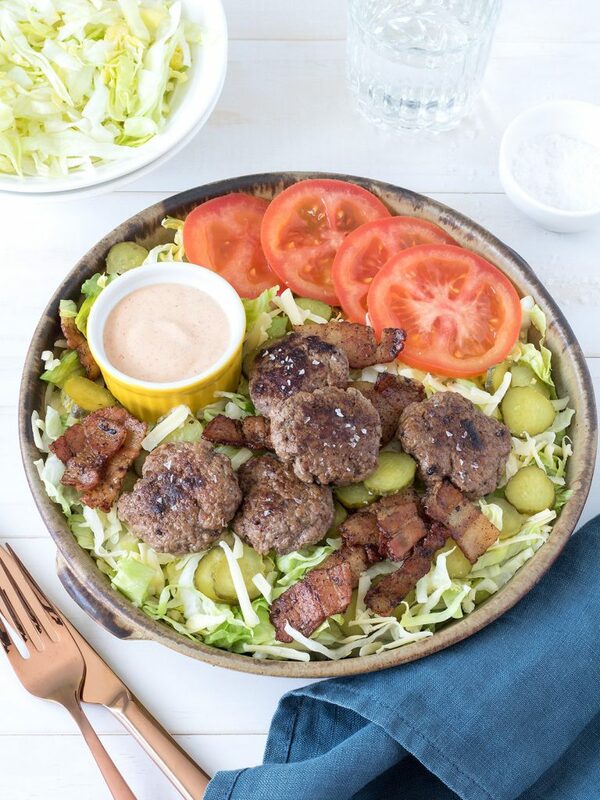 Bacon cheeseburger salads are next on the menu. 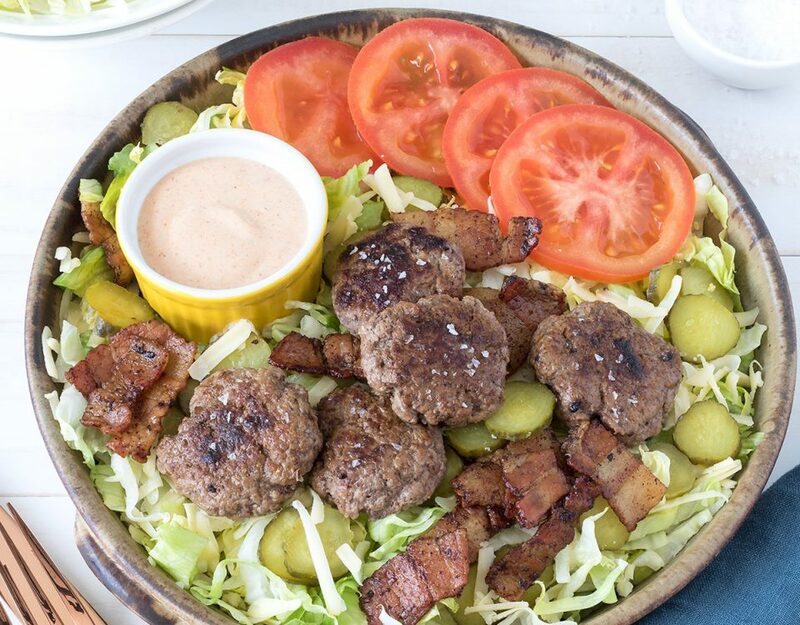 They’re a great lower carb version of regular cheeseburgers and have all the same flavours. The last of this week’s recipes is chicken enchiladas - an easy family-friendly meal that’s sure to go down a treat. 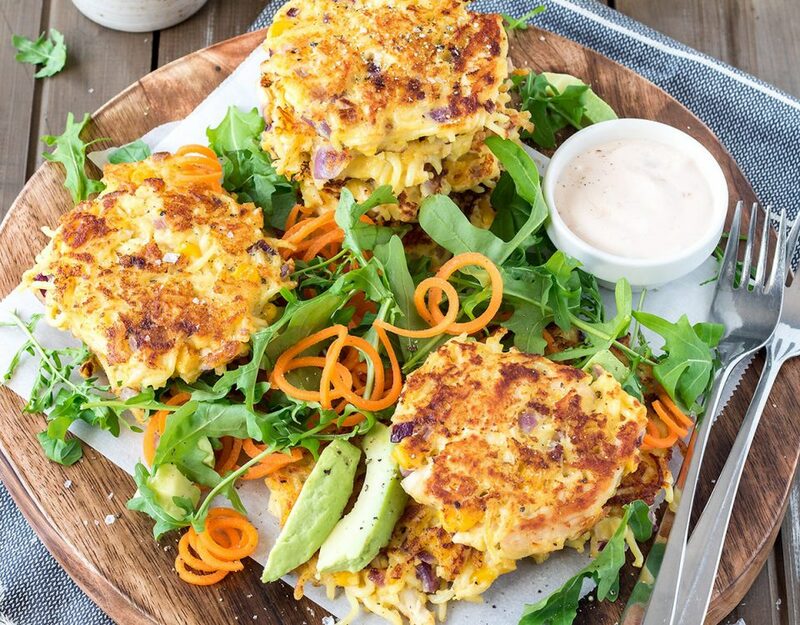 Start the week off with a fresh and flavoursome chicken and baked ricotta salad. Next on the menu are creamy mushroom and spinach pies - a delicious vegetarian meal served with sautéed broccolini. 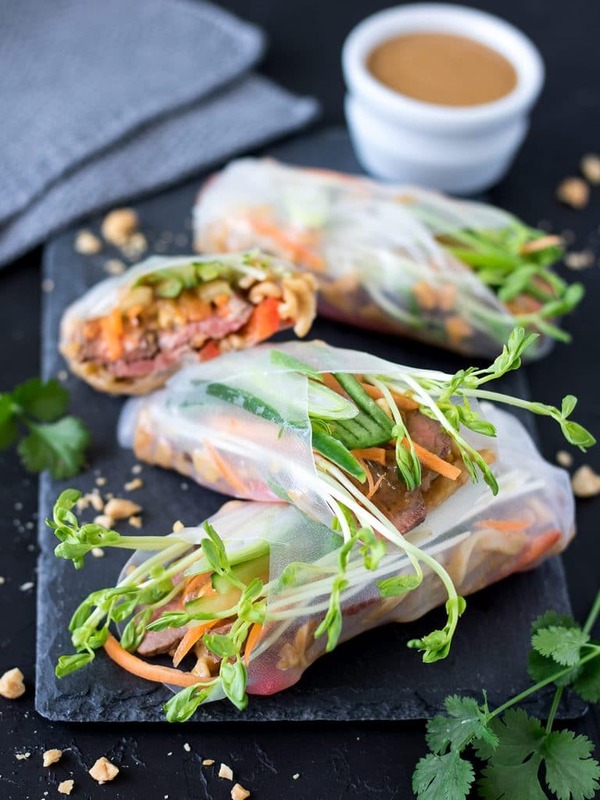 Then try the steak summer rolls - they’re full of yummy ingredients and paired with an irresistible peanut dipping sauce. Start the week off with a luxurious smoked salmon spaghetti - super easy and on the table in under half an hour. 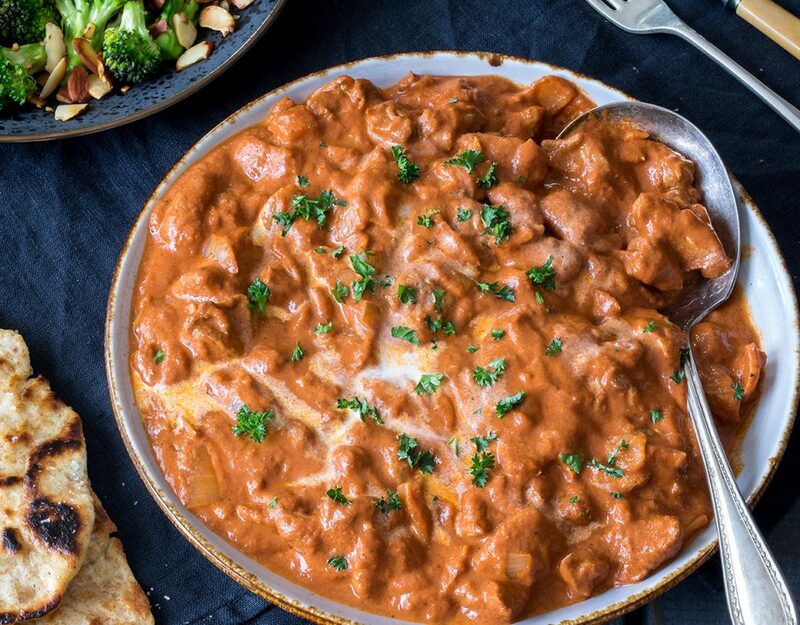 Creamy, flavoursome butter chicken is next on the menu. 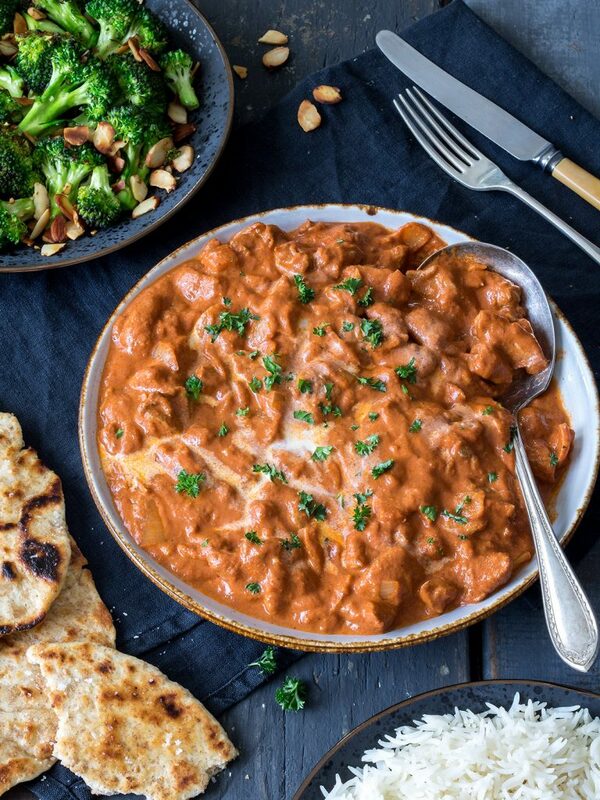 It's a great simple alternative to a takeaway curry. Finish the week off with a classic Kiwi dinner - bacon wrapped sausages with potato, kumara and egg salad. 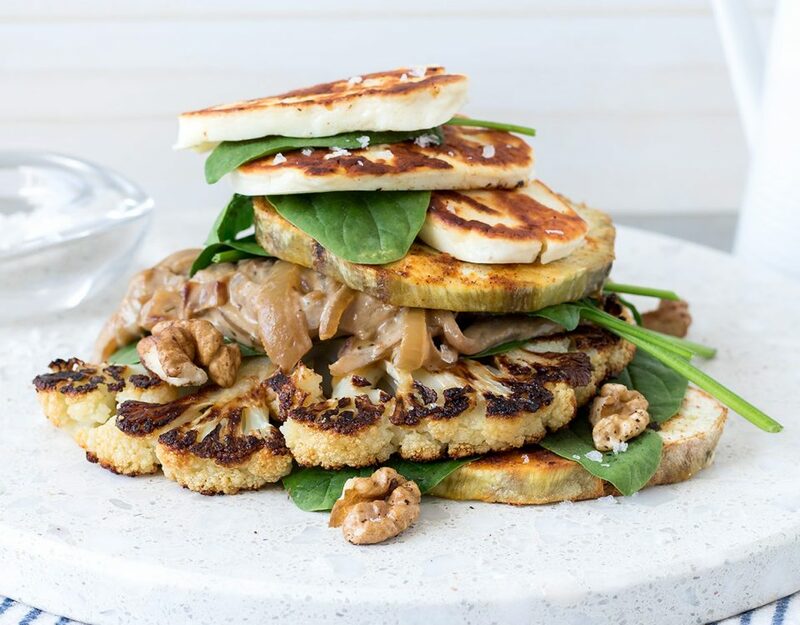 Start the week off with a delicious vegetarian meal of roast veggie stacks with haloumi and caramelised onions. The chicken and spinach crepes are surprisingly easy and full of nutritious ingredients. Lamb stuffed eggplants are the final recipe this week. 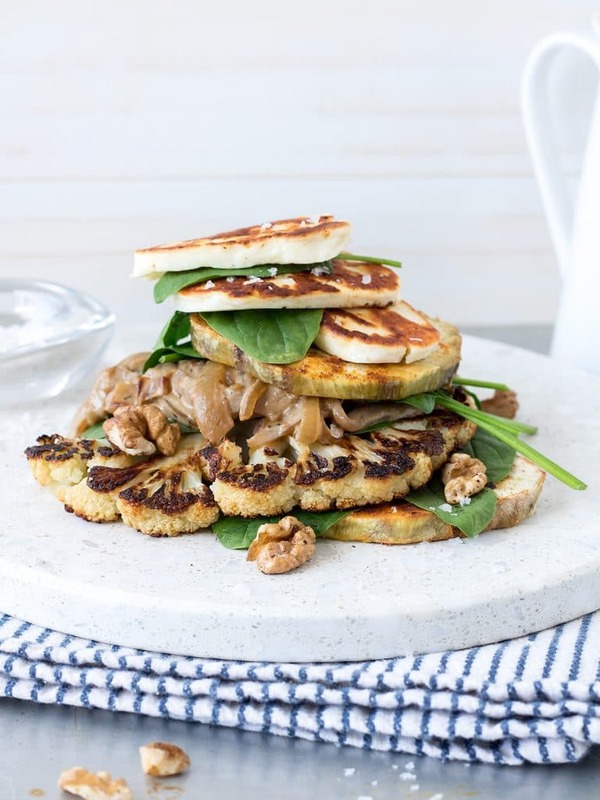 They're a lower carb meal that's packed full of flavour. 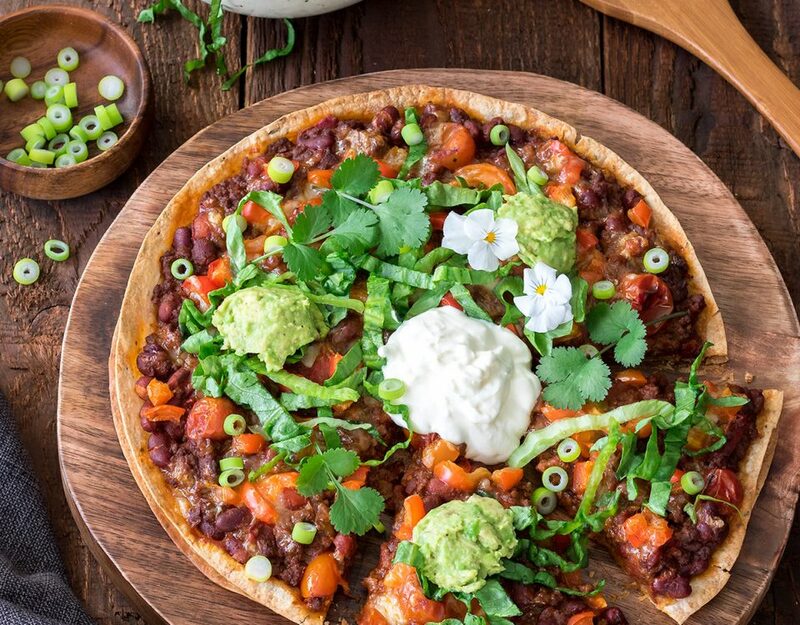 This week's menu features Mexican-style pizzas (I can't go too long without a pizza!) loaded up with mince, sour cream and guacamole. 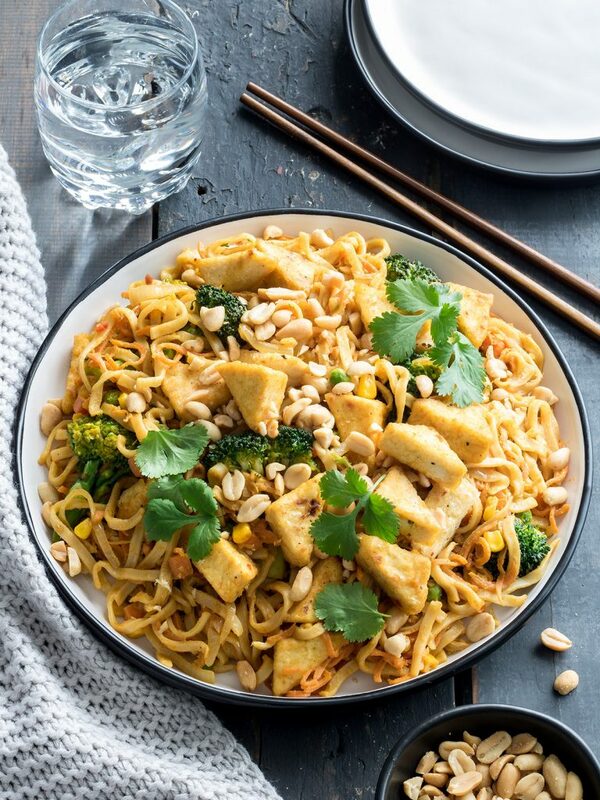 The second recipe, prawn cashew nut stir fry, is a great meal for busy weeknights - it's fast and delicious. And while the weather is still warming up, enjoy a comforting and nutritious meal of pork and beans. 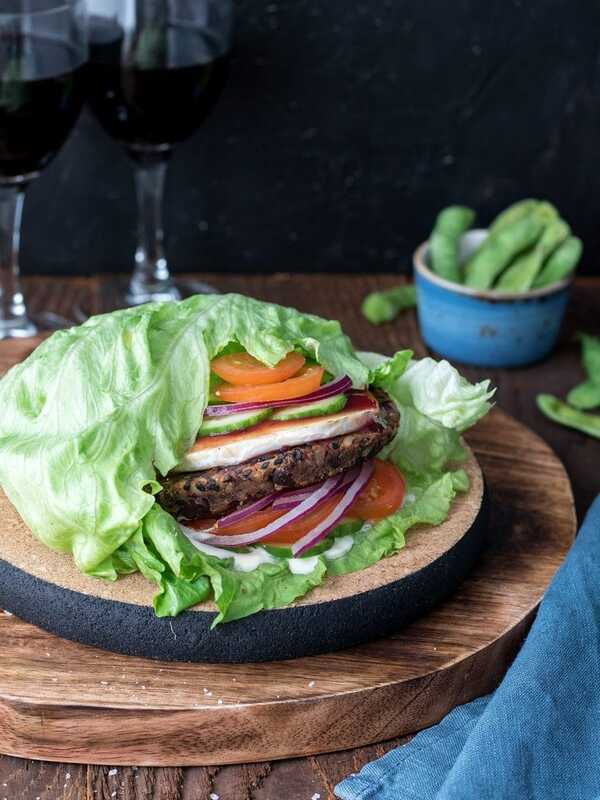 Bunless veggie burgers with plum sauce and camembert are a lower carb dinner packed full of nutritious ingredients. The second meal, chicken and kumara bake, is layered with pesto, cheese and spinach. 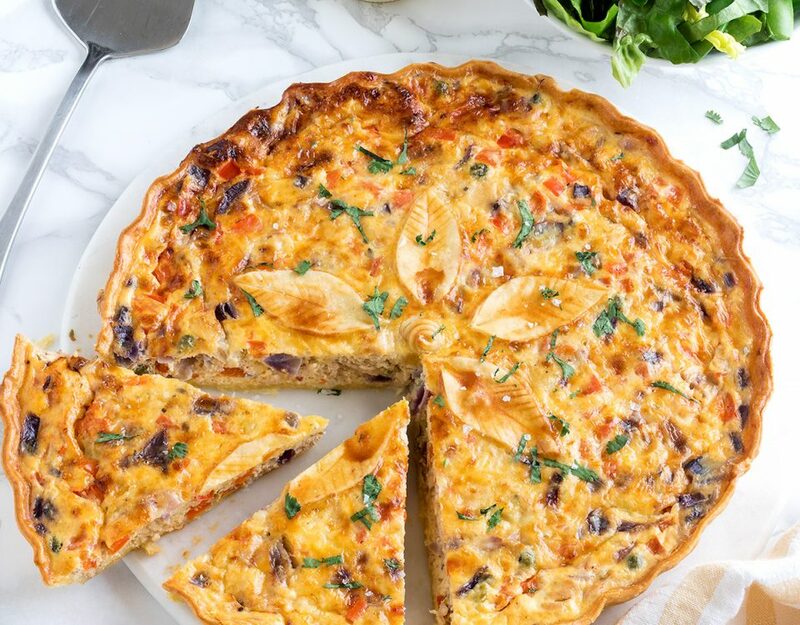 It's delicious and easy, with a short ingredients list. Finish the week off with lamb and orzo salad - a summery meal full of fresh flavours. 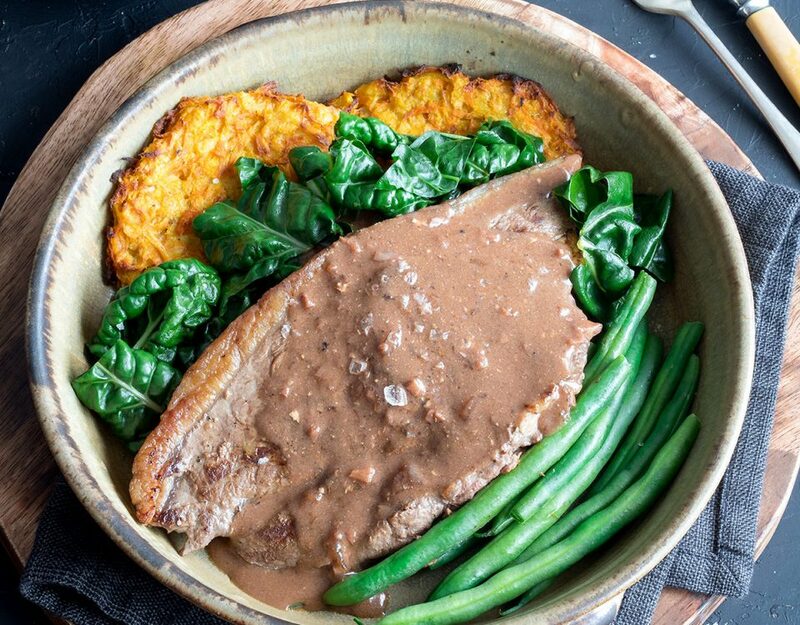 What's cooking this week? Lemon pepper fish on ciabatta with lots of fresh salad is a delicious spring meal. Then there's the works fettuccine - an easy pasta that’s a loaded-up version of fettuccine carbonara. 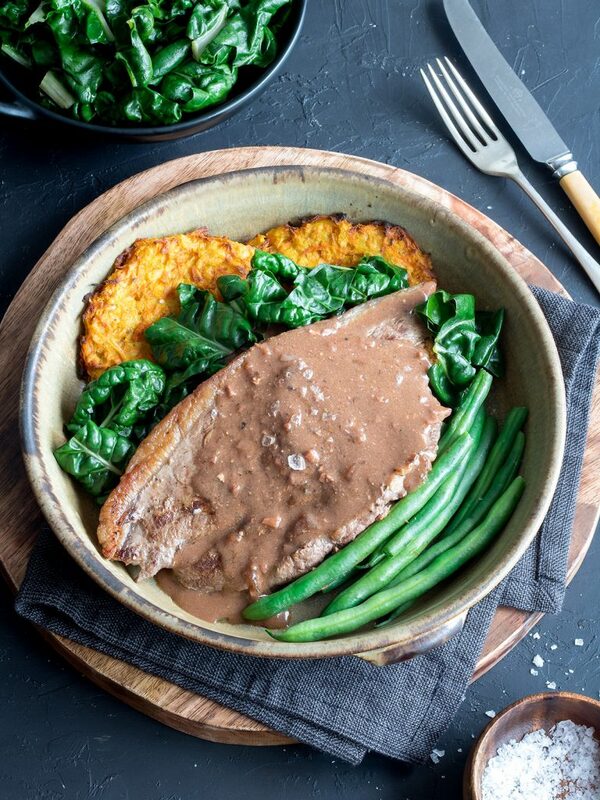 Steak on mixed veggie rostis with rich brown gravy is a gourmet weeknight dinner that is equally as good for entertaining. 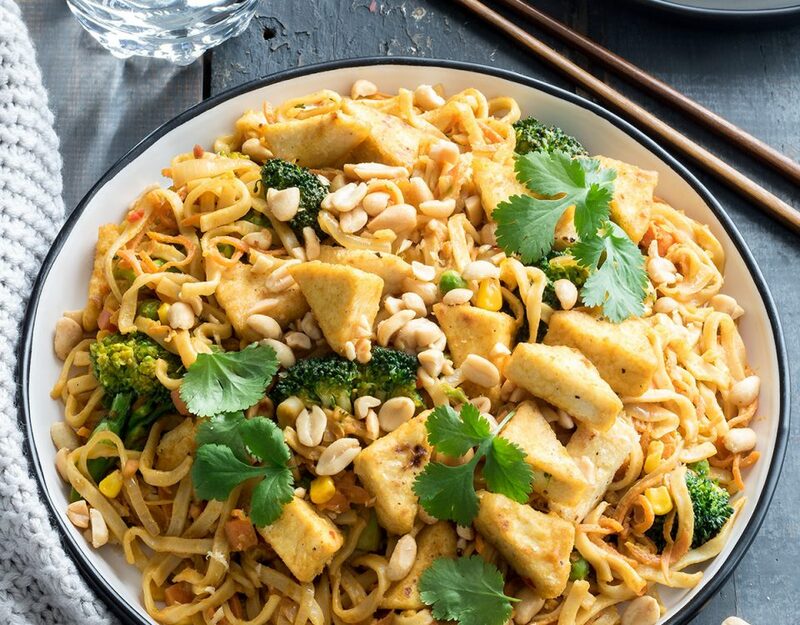 If you're a peanut butter lover, then satay tofu noodles are for you! This meal even happens to be vegan. Next on the menu is crunchy crumbed chicken tenders served on a salad packed with tasty ingredients. 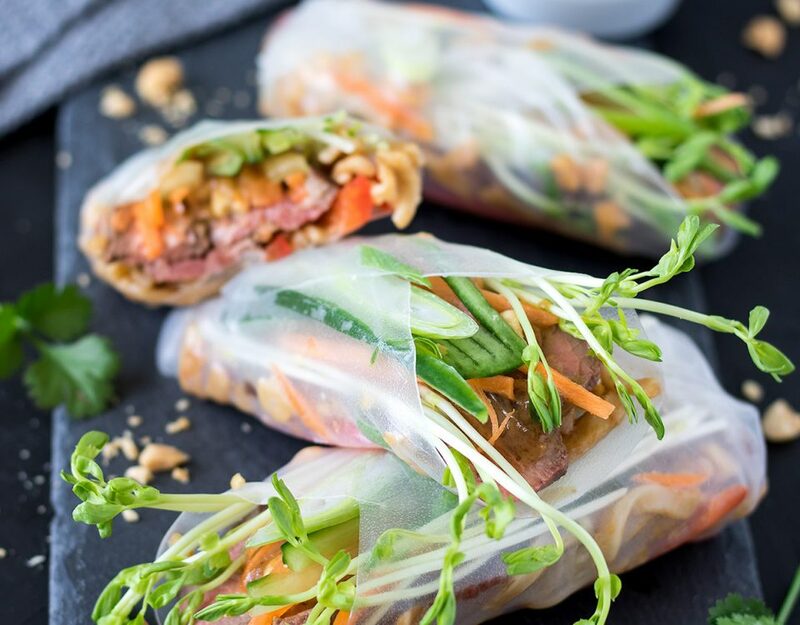 Beef florentine filo pie is a delicious way to finish off the week - rich, savoury mince covered with cheesy spinach and golden filo pastry sheets. Who else loves Mexican food? Delicious chicken fajita bowls use rice instead of wraps for an easy, family-friendly meal. Next on the menu is curried sausages - a retro recipe that’s simple, tasty and inexpensive. 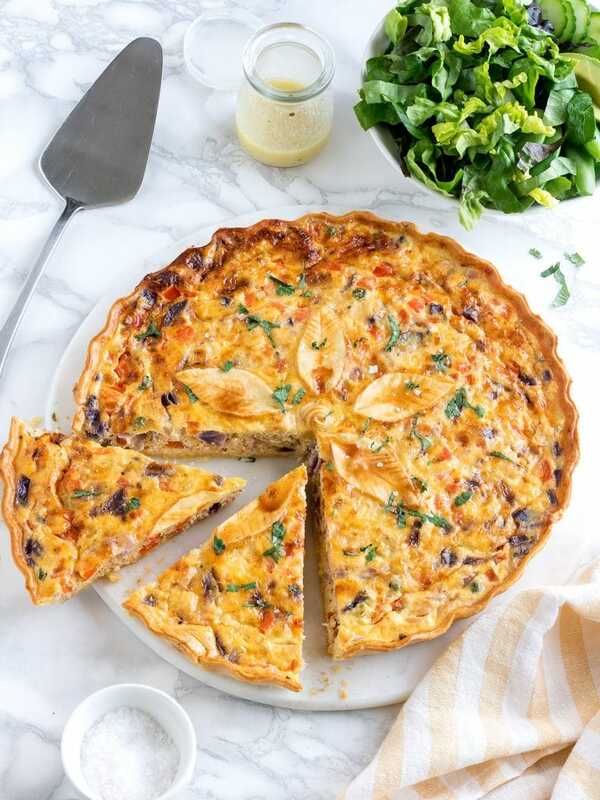 The last meal is a savoury salmon tart. Buttery pastry and rich savoury filling are balanced out with a fresh green salad. Yum! 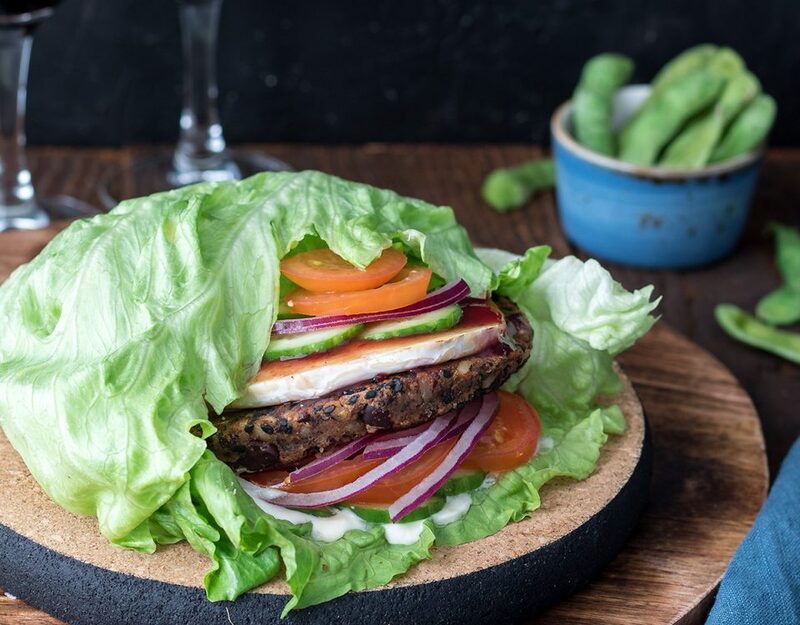 This week's meals are all on the lighter side, celebrating the arrival of spring! 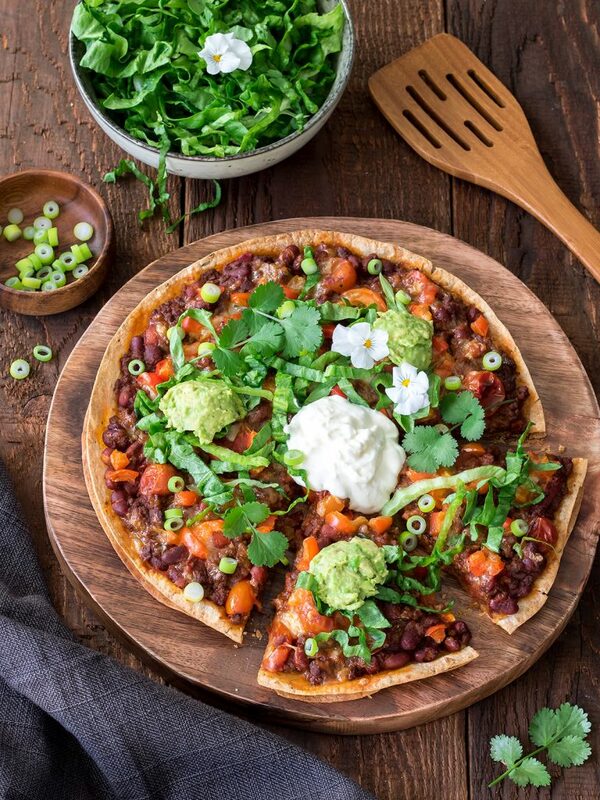 Vegetarian nachos with homemade tortilla chips are easy, healthy and super yummy. 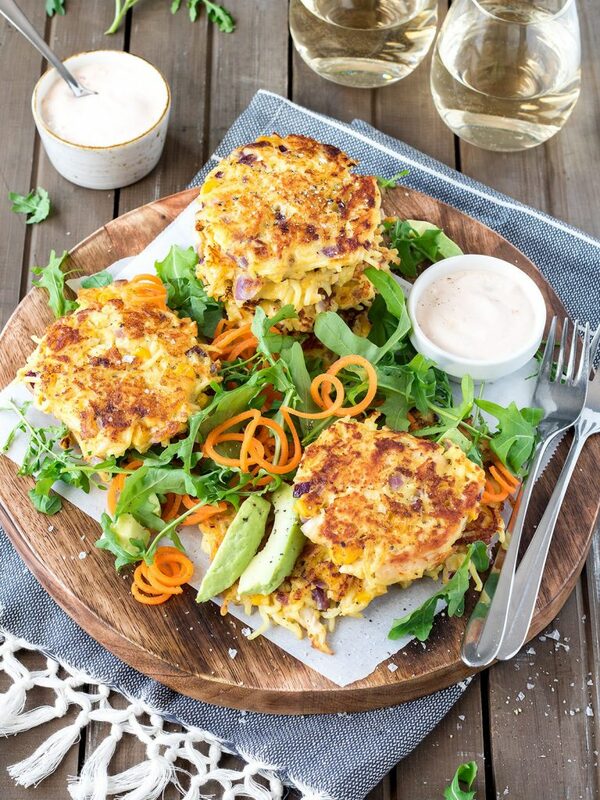 For a family-friendly, filling meal, give the chicken noodle fritters a go. Then finish off the week with Chinese fried rice, a quick and easy one-bowl dinner.